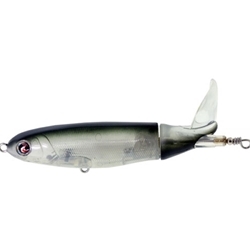 River2Sea's Whopper Plopper gurgling, plopping topater bait is the most unique topwater bait on the market. The commotion of the Whopper Plopper and sound created by this bait will produce some explosive strikes! This topwater will roll, buzz, twitch or burn! Now comes in three sizes: 90: 3-1/2"